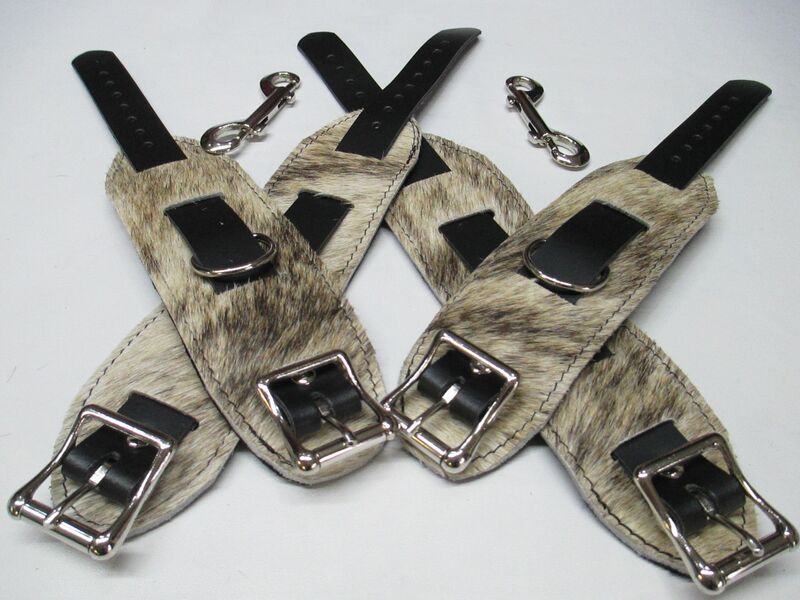 Luxury Hair on Hide Leather (Bases) and Belgium Leather Straps, Suede Lined Restraint Cuffs For Wrist and Ankles set. 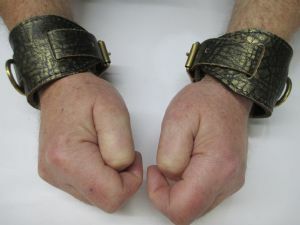 Cream/light brown Hair on Hide genuine Leather, Black soft Suede lined wrist and Ankle restraint cuffs set, with black leather one inch wide straps and removable welded dee ring. 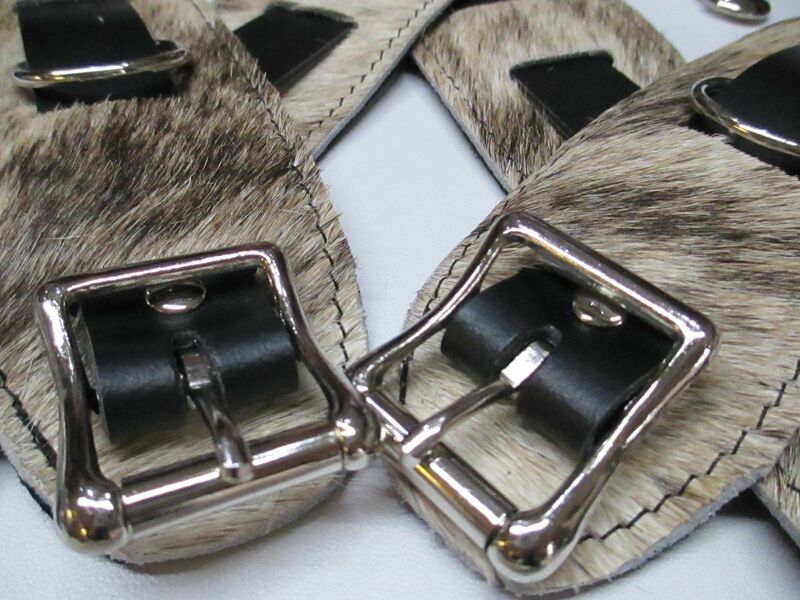 Bases are hand cut, bonded and stitched using black high breaking strength thread.